The Branson Farmers Market will open to the community on Tuesday, Sept. 1 from 3:00 p.m. to 7:00 p.m., at the Branson Landing on the south end parking lot near the Lake Taneycomo bridge. 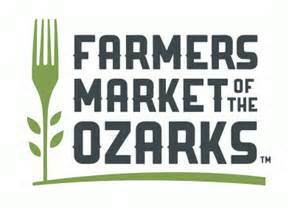 The market is a franchise market of Farmers Market of the Ozarks (FMO), which is the fastest growing market in the state and the number sixth farmers market in the country. The market will be open this fall every Tuesday in September and October, then in 2016 the market reopens from April through October. The market will include winter squash, tomatoes, onions, peppers, fall items such as mums and pumpkins, hydroponic lettuce, apples and peaches, meats, eggs, seafood, artwork, leatherworks, food concessions, and much more. The Branson Fire Department will have a fire truck present to teach families about fire safety and balloon art and face painting will provide children with a fun market evening. Musical entertainment will fill the air at market from local artist Adam Johnston. Farmers Market of the Ozarks is a non-profit organization that offers consumers a full-range of locally grown farm products from a 150 mile radius of Springfield. Items include: vegetables, fruits, pasta, meat, jams, jellies, salsa, eggs, cheeses, yogurt, baked goods, honey, artisan crafts and an assortment of concessions. Farmers Market of the Ozarks operates a vibrant farmers market that contributes to the success of local food growers and producers, strengthens the local food economy and serves as a community gathering place for the Ozarks region. BRANSON, Mo. – The Army Corps of Engineers, Table Rock Project Office announces the reopening of Moonshine Beach Sept. 2. The beach will be open from 9 a.m. until 8 p.m. daily and will remain open until Sept. 15. The beach has been closed because of high water. For more information about recreation areas on Table Rock Lake call the Table Rock Project Office at 501-340-1950, daily from 8 a.m. to 4 p.m., excluding federal holidays. Little Rock District news and recreational information can be found at www.about.me/usacelittlerock. Haygoods: Area Appreciation Special! Only $10 per person! (plus tax)! For Surrounding Counties. Valid ID required. These shows will sell out quickly! Click below for more information. The Taney County Health Department (TCHD) began providing Women, Infants and Children (WIC) services at the Jordan Valley Community Health Center Hollister on July 22. Health department WIC staff will be at Jordan Valley Community Health Center Hollister located at 33 Gage Drive, Hollister, every Wednesday from 8:00 am to 4:30 pm. To schedule an appointment please call the Taney County Health Department at (417) 334-4544 ext 214. WIC is a special supplemental nutrition program for women, infants and children. The program provides services to pregnant and postpartum women, as well as infants and children under 5 years of age. WIC offers nutrition education, breastfeeding support and education, and checks to purchase nutritious foods. For more information about WIC guidelines and qualifications please call the Taney County Health Department at (471) 334-4544 Branson, (417) 546-4725 Forsyth or visit the website at www.taneycohealth.org. The city of Branson and the developers of land adjacent to Keeter Street will be installing new sanitary sewers in the roadway. The construction will occur on Keeter Street between Green Mountain Drive and Highway 76. The work is scheduled to take place from Tuesday August 18 through Friday August 21, 2015. During the day, this section of road will be completely closed to through traffic. The road will be opened at night during this time period. The work and schedule is weather dependent. Motorist are asked to utilize Schaefer Drive as a detour route through this area. A recent press release from the U.S. Conference of Mayors announced, in conjunction with Major League Baseball and Minor League Baseball, that Branson, Missouri has been listed as a 2015 PLAY BALL City for PLAY BALL Month, August of 2015. During PLAY BALL Month, Branson will be hosting the Youth Baseball Network National Championship, Aug. 19-22, featuring great baseball played by youth teams, including the 2015 12U Champions from AABC, AAU, CABA, Dizzy Dean, and NABF. In addition, on Aug. 22, Branson Mayor Karen Best will host the Youth Baseball Olympics featuring a number of fun, baseball related activities. In announcing Branson as a PLAY BALL City, the release said, “The cities are being designated based on the commitment by each city’s Mayor to sponsor a baseball or softball-related activity during August. Don’t miss the 27th annual Branson Fiddle Festival August 28 – 30, 2015 presented by Grand Country! Located in the heart of Ozarks, Grand Country Resort is the perfect home for this amazing three-day fiddling frenzy. Once you pull in the parking lot, you’ll never have to leave. Featuring hotel, theatre, restaurants, family attractions, and more, get ready for a GRAND weekend of fiddling and fun! Kick-off this fun-filled weekend with the Anything Goes Contest! With an “open-mic” feel, get ready for anything: Cross-tuning, Trick and Fancy Fiddling allowed! The applause meter will decide the winner! Saturday morning the real fun begins with the Mid-America Fiddle Competition. Featuring six different divisions of competition with awards and opportunity to advance to Finals. Junior (11 – 16): 6 places advance to Finals. Adult (17 – 59): 5 places advance to Finals. Open: 6 places advance to Finals. Sunday afternoon begins the quest to find the best of the best and name the 2015 Champion! Top 3 advance to Round Robin. Round Robin Competition for Championship! Saturday August 22, 2015 1:00 pm to 3:00 pm at the Branson RecPlex. This is a free community event prior to the Youth Baseball Network NATIONAL CHAMPIONSHIP GAME!! This will be the big wrap up to an exciting few days of youth baseball. The YBN National Championship will become the preeminent Youth Baseball national tournament in the country. The tournament will feature multiple major Youth Baseball Organizations’ 12U Champions vying for the crown of Youth Baseball National Champion! The initial Championship will be held August 19-22, 2015. Allow for extra driving time this weekend as Branson embarks on a busy weekend. The Super Summer Cruise is the premier car event in Branson, Missouri held annually during August. It features the Show’n’Shine with over 500 cars and trucks on display at The Shepherd of the Hills Historic Homestead. It runs August 6-8 with the big Midnight Cruise to cap it off. Don’t miss this fantastic weekend of fun! And if classic cars aren’t enough to satisfy your nostalgic needs, the Branson KOA will be hosting the 4th Annual Vintage Camper Rally, stop by and see the gems of the open road, you may even get to tour some of the vintage campers. The All Frets 2015 Convention is currently underway at the Radisson Hotel. This is a world-class array of concerts, workshops, jamming, vendors, & special events for all things with frets. The 4th annual Rock the Spectrum event will be held on Saturday, August 8th at 5 PM at Branson Landing. All monies raised will go to directly help families affected by autism in Branson, Missouri and surrounding areas. This event is founded by Brent & Cristal Hedrick in honor of their goddaughter Shaylee O’Day. Rock the Spectrum will have a talented and exciting lineup of entertainment including The Branson Tribute Theatre’s “Take It To The Limit” Eagles Tribute, “Don’t Stop Believin’” Journey Tribute, “Bad Moon Risin’” Creedence Clearwater Revival Tribute, and “Livin’ On A Prayer” Bon Jovi Tribute, as well as Kresleigh Hedrick and DJ Hadenwood! Don’t miss Bounce Houses by Monkey Moe’s, Face Painting, “As You Wish” Disney Princesses, and more for the kids – and Waxy O’Shea’s Beer Garden for the adults! For those who come to Branson to shop, shop, shop, this weekend is also the State Tax Free Back to School shopping weekend. Throughout Branson, if it is school related, shoppers can purchase items but not pay the Missouri state tax. Clink this link to read more about it. So when you are out and about this weekend, allow a little more time to get around, practice patience, and remember, everyone else out there is trying to get somewhere important too.